Wallace Allan Rochon was born in Parry Sound, Ontario on August 8, 1951, and was the oldest of 4 children born to Wally & Shirley Rochon (nee Salt) – he was followed by a sister Sandra, and two brothers, Larry, and Michael. He was known to his family and friends as Allan, or Al, but was soon nicknamed “Butch” by his Grandfather Salt. . . . a nickname that has lasted a lifetime. 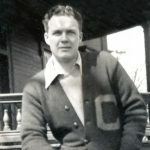 Wally – Butch’s father, worked for CN rail, and as such, they moved around the province frequently during his childhood. 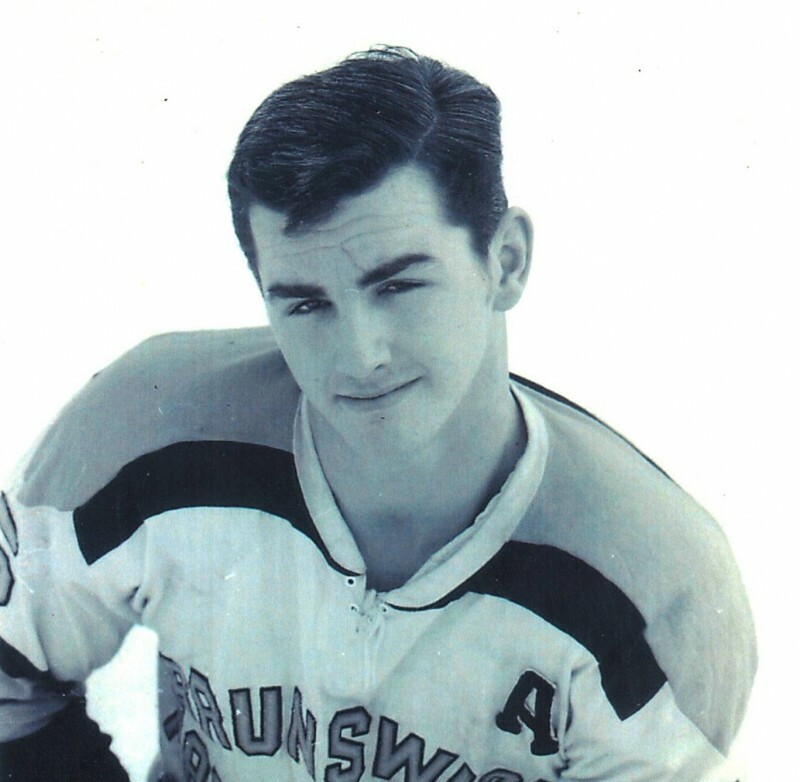 At the young age of 4, Butch started skating and playing hockey, a direct influence of his Uncle Bucky (Gordon) Salt whom Butch was never far away from. Wherever Bucky went, Butch was likely to follow. Because of Wally’s work with CN rail, the Family moved from Parry Sound to Barrie when Butch was 7 years old, and then a few years later on to Capreol. From his time spent in Parry Sound, Butch had grown attached to life in the area and on Georgian Bay, and when he was 14 years old, decided he would prefer to live in Parry Sound full time, and moved in with his Grandmother Salt. He continued to play hockey in Parry Sound in the winter, and in the summer months, he was an avid Fisherman. In Butch’s first year of Midget (1966) at 15 years of age, he opted to play in the Men’s Industrial League, where he developed a physical style of play. The following year (1967) he played for the Parry Sound Midgets, followed by the Parry Sound Junior “C” club in 1968 – 1969 when they were the OHA – semi Finalists. He was the assistant Captain. In 1969, Butch was invited to the St. Catharines Junior A Blackhawks camp where he showed well, but the team had aspirations of developing his skill further to take on a larger role, and offered him a position with the Dixie Bee Hives Junior B Team to prepare. In the meantime, Butch had been contacted by the Sudbury Wolves Junior A team offering him a tryout. He returned from St. Catharines to Parry Sound, and then took the train to Sudbury where he attended training camp and was signed after his first skate. 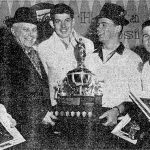 The 1969 – 1970 Sudbury Wolves team went on to beat the Soo Grey Hounds to become the NOHA Junior A Champions, and Capture the McNamara Cup. 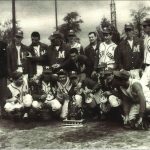 The team fell short in their bid to move on to the Eastern Canada Centennial Cup, losing in Game 7 to the Thunder Bay/Port Arthur Marr’s. It had been a hard fought battle, which saw Police called in on a couple of occasions during some bench clearing brawls which included an encounter between Butch and Bill “Goldie” Goldthorpe. The Marr’s moved on to play Charlottetown PEI. In the off season Butch would return to Parry Sound on weekends when he was not working. Once home he could be found on Georgian Bay, enjoying its fantastic fishing with friends and family – complete with Shore lunches. In the summer of 1970, Butch married his girlfriend, Faye Jacklin, prior to heading back up to Sudbury for his second season. In 1971, Butch and Faye welcomed a baby daughter, Nichole Marie. On the day that Nicki was born, Butch played a game for the Wolves and was selected as one of the “Stars of Game”. He played out that second season with Sudbury, finishing with the Junior Ranks in the Spring of 1971.During this time, Butch held down a job working at the rail yard – unloading sides of beef from freight cars for Canada Packers during the night, and then after a few hours of sleep, arrive to play hockey. The 1971/72 season saw Butch transition to senior hockey, where he signed with the Oakville Oaks, but when the team folded, he signed to the “Georgetown Raiders” Major Intermediate A hockey team. With Butch’s assistance, the team went on to win the OHA Championship. In 1972/73 he ventured back to Senior A hockey and signed with the Brantford Foresters, where he was the Captain of the team. All the while he was playing Senior hockey, Butch held down a full time job with Mack trucks. In 1974 Butch & Faye, once again welcomed a baby daughter, Monique Justine. With the responsibility of a growing family, Butch made the decision to forego his budding hockey career, and accepted a full time position with Ontario Hydro as a Lineman. He began working at Ontario Hydro in 1975 where he has had a full and interesting career. In 1978, to round out their family, Butch & Faye had a son, Richard Edgar Allan Rochon. He continued to play hockey in the Industrial league as well as with a men’s competitive team that went on to win many championships. As well, when Richard became involved in hockey, he coached the team, and was named “Coach of the Year”. It was with great pride that he participated in the Fund raising hockey game for the new hospital that he played with Bobby Orr, Gordie Howe, Darryl Sittler, and Hawk Tabobndung to name a few. Butch is fiercely loyal to family & friends, a trait he carried on from his hockey days with his teammates, to his own Family. He now resides with his spouse, Sandra Tebby in their home on Georgian Bay, and was very influential in the growth & development of her son Braden Gray. Butch retired after 35 years with Hydro, and was thrilled to see his son follow in his footsteps . . . Richard is a Lineman with Hydro One working in Parry Sound, where Butch and Richard play on the same hockey team. Nichole and Monique are Registered Nurses. His step-son Braden, has also followed in Butch’s footsteps, and is a Lineman with Hydro One. Butch’s 3 children are married, and Butch now has 8 Grand-children; Tyler, Emily, Justine, Tanner, Nathan, Avery, Jessica, & Cody – who keep him very busy with hockey games and dance recitals to watch. The annual hockey game that Butch arranges for the entire Family is a yearly highlight. Hockey has played a pivotal role in Butch’s life, and to this day now in his 60’s can still be found on the ice 3 – 5 times a week playing the game he so truly loves.